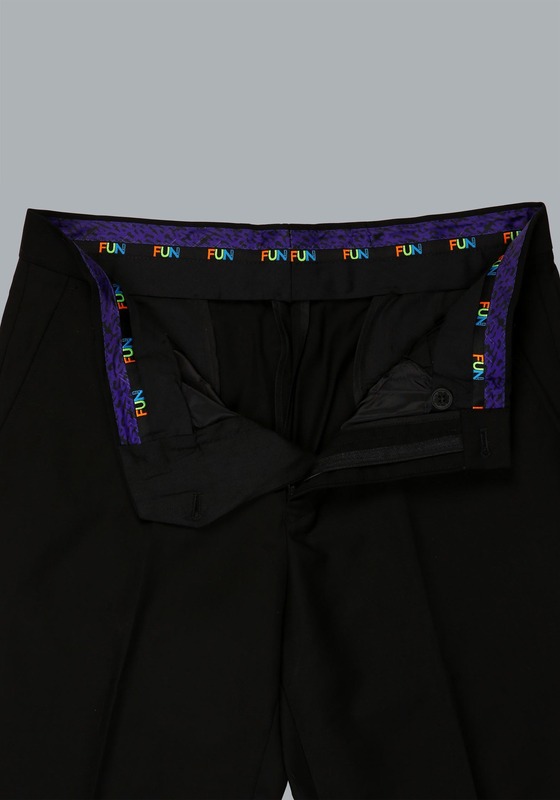 We think it's about time that you allow people to notice your fiendish fashion sense, so we created these exclusive The Joker suit pants for you to wear to the next black-tie gala you attend. Perfectly tailored to achieve a fit that is flattering for all, these suit pants are a well-dressed alternative to wearing jeans with your The Joker Suit suit jacket (sold separately). 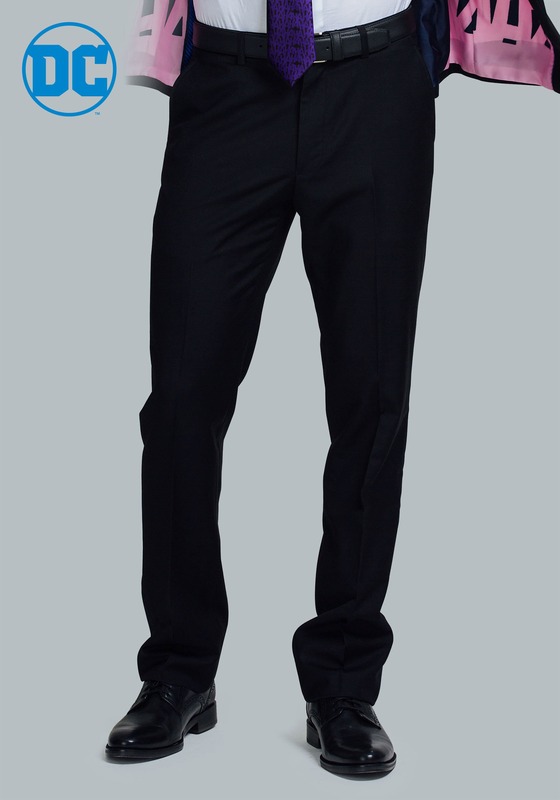 The black suit pants have buttoned rear pockets and fasten around the waist via a zip fly and hook-and-bar closure. Sold in sizes 29W to 40W for your sizing convenience, the dry-clean only suit pants will give you the insanely stylish look that you desire!